St. Francis de Sales Catholic Academy is preparing a wonderful custom cookbook featuring favorite recipes from our students, faculty, staff, and families. Include those favorite family recipes that have been passed down so you can share them too. Feel free to include your own recipes, published recipes, maybe you have a favorite recipe from a local restaurant they would share. The cookbook will be professionally published, and it is certain to become a treasured keepsake. Please submit 3–5 (more if you desire) of your favorite recipes so you can be represented in our cookbook. Your name or child’s name and grade will be printed with each of your recipes. Should identical recipes be submitted by several people, all contributors’ names will be listed alongside the recipe. Thank you for contributing recipes and making our cookbook a huge success. We hope there will be a great demand for the cookbook, you can reserve one or more for yourself and your family at this time to be assured of receiving them. We anticipate the cost of the completed cookbook to be $10. With each purchased cookbook there will be instructions for downloading and electronic version as well at no additional cost. Please submit recipes by March 25, 2019. If you do not have access to email, please print NEATLY IN INK, NOT PENCIL, and send to St. Francis de Sales Attn: Christine Carlin Cookbook. Keep ingredients separate and directions in one Do not submit recipes in steps, columns, or charts. The last contest of the year is officially beginning. What better way to celebrate the June heat than with ice cream?! The grade that brings in the most box tops will win an ice cream party in June (specific date to be determined). Please make sure your child’s name and class is on the submission so that the correct class can be credited. Submitting your box tops in a ziploc bag is the easiest way to hand in. Keep clipping and submitting and let’s double our total from they year so far which is just over $900. 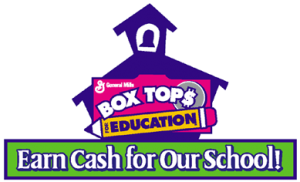 For more information on how you can help our school earn cash through Box Tops, email our Box Tops coordinator, Kelly Henning at admin@stfrancisschoolbh.net or visit btfe.com. Will you be our Valentine? Shop at smile.amazon.com/ch/47-1083958 and AmazonSmile donates to St Francis Desales Catholic Academy. 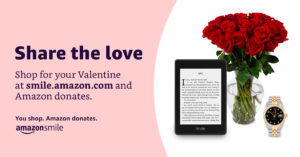 AmazonSmile is a simple and automatic way for you to support St. Francis DeSales Catholic Academy every time you shop, at no cost to you. When you shop at smile.amazon.com, you’ll find the exact same low prices, vast selection and convenient shopping experience as Amazon.com, with the added bonus that Amazon will donate a portion of the purchase price to our Academy. To shop at AmazonSmile, go to smile.amazon.com from the web browser on your computer or mobile device. You may also want to add a bookmark to smile.amazon.com to make it even easier to return and start your shopping at AmazonSmile. Welcome back to the start of a new school year and to a new year of A+ School Rewards! This year’s A+ Program runs from September 7, 2018 through March 16, 2019. Our school St. Francis de Sales , ID#: 09270 has the opportunity to participate in and earn CASH from A+ School Rewards, a great fundraising program run through your local Stop & Shop! • Beginning August 3, 2018, visit stopandshop.com and select SIGN IN at the top right to log into your online account. Once logged in, select MY ACCOUNT, MANAGE MY ACCOUNT, then REWARDS & SAVINGS to select your school. • If you do not have an online account, visit stopandshop.com and click REGISTER. Follow the prompts to create your online account. Once logged in, follow the instructions listed above. 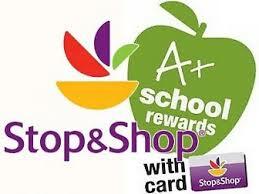 • Use your registered STOP & SHOP CARD each time you shop at any Stop & Shop, and you will earn CASH for our school. You can confirm your school selection by logging into your account. • At the end of each month, your points are calculated and converted to CASH rewards. These CASH rewards for our school are updated monthly. You can track our progress when you sign in to your online account. • Our school will receive one CASH rewards check at the end of the program.